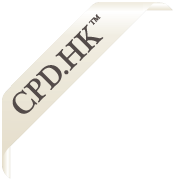 and to receive news of our latest CPD Courses today! Amirali Nasir solicitor admitted in Hong Kong, and England and Wales, founder of NASIRS® (formerly AB NASIR & CO.®). Accredited mediator and regular speaker on Solicitors' Accounts, Professional Conduct, Civil Justice Reform, Risk Management, Technology in Law and Islamic Finance. Amirali is a member of the of the Guidance Committee of the Law Society of Hong Kong. Standing Committee on Compliance, Consents Committee, Chairman of the Guide Working Party, Chairman of Innotech Committee, Member of the Working Party on Solicitors' Accounts Rules, Chairman of the Working Party on Solicitors' Practice Rules and former External Examiner on "Accounts" for PCLL "Professional Practice and Management" and "Corporate and Commercial Transactions I" Examinations for The University of Hong Kong. Amirali actively promotes continuous education, equal opportunity, racial harmony, corporate governance and ethical values for lawyers, accountants and corporations, and advocates a green attitude for a clean blue green planet. His hobbies are neurogaming. The seminar seeks to introduce the Solicitors' Accounts Rules, some common errors, mistakes and pitfalls that are encountered by firms and clarification of some uncertainty the legislation may cause. The duties and responsibilities of the firm to the public and the Law Society are identified. Important ethical issues will also be covered. In addition, with the Solicitors' Accounts (Amendment) Rules 2012 passed by the Legislative Council in December 2012. Amendments introduced by the Solicitors' Accounts (Amendment) Rules 2012 are scheduled to come into operation on 1 July 2016. The Manual on Solicitors' Accounting of the Law Society will be updated to reflect the amendments introduced by the Solicitors' Accounts (Amendment) Rules 2012. 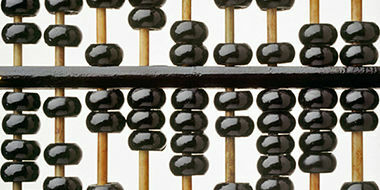 Firms must effect changes to their accounting systems on the handling and recording of client money. This seminar will introduce the new rules and highlight the changes that will have to be made for timely compliance with the Solicitors' Accounts Rules. Practical demonstration will enable delegates to easily and effortlessly assimilate and understand the Solicitors' Accounts Rules and apply them intuitively. Microsoft Excel will be used to explain the application of the Solicitors' Accounts Rules and accounting entries. Presenter(s): Mr. Amirali B. Nasir, J.P.
Presenter(s): Mr. Amirali B. Nasir, M.H., J.P.
Copyright© 2012-2019, The Profectional Company Limited. All Rights Reserved.